The MF Series flow meters meet the needs for extremely low flow measurement in many industrial liquid and gas applications. Linear flow range capabilities are 0.015 to 3.00 gallons per minute in liquid applications. 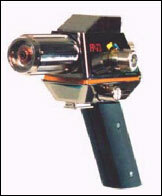 Maximum flow rates in gas flow applications are 0.05 to 1.00 ACFM. 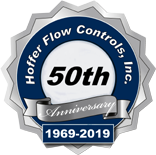 Once again, meeting the challenges and finding solutions for various industrial low flow processing applications around the world is what brings customers back to Hoffer Flow Controls, again and again. Our reputation for producing the highest quality turbine flowmeters in the world can be seen through the many quality awards received and product innovations introduced through the years. Like the coatings application above, our Mini-Flowmeters can be found in additive blending and batching applications throughout the sanitary flow measurement in pharmaceutical, food and beverage. Our Mini-Flowmeters can also be found in steel mills- rolled steel, aerospace engine testing and gas and liquid measurement in power plants.